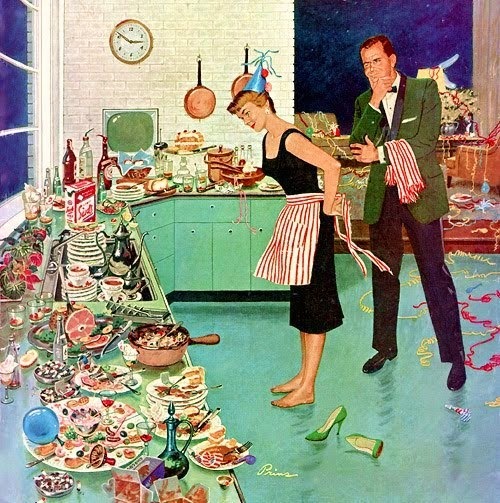 This is unfortunately what the kitchen looks like after that New Year's Eve Party. Of course the wife can't go to sleep unless it is cleaned up. While the husband is not remotely interested in any of that clean up. So Santa leaving us till then... but he is leaving behind lots of good memories for me.